A special project for a special event. 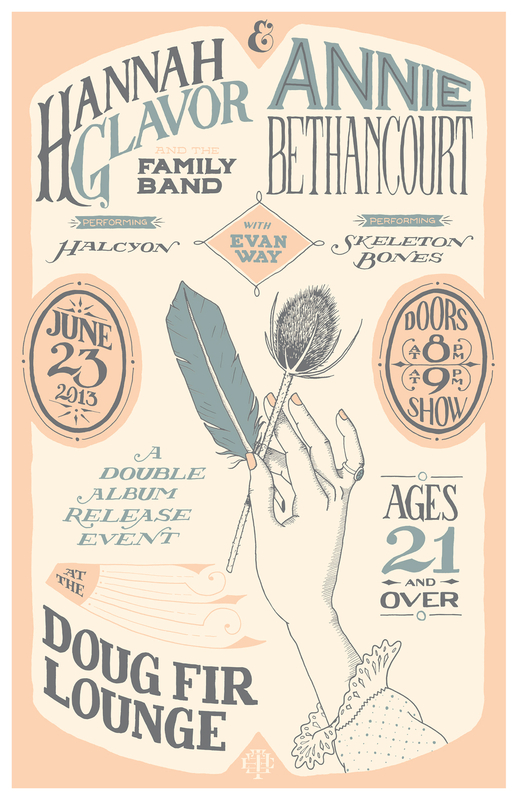 Portland musicians Hannah Glavor and Annie Bethancourt came together to plan a double album release show in celebration of their newly released material. Gathering inspiration from the themes in each of their album covers, the poster depicts with hand drawn type and original illustrations the graceful elegance they each demonstrate so well in their music.